This article was on the front page of the student newspaper, The ULABian, which is published by the University of Liberal Arts, Bangladesh. 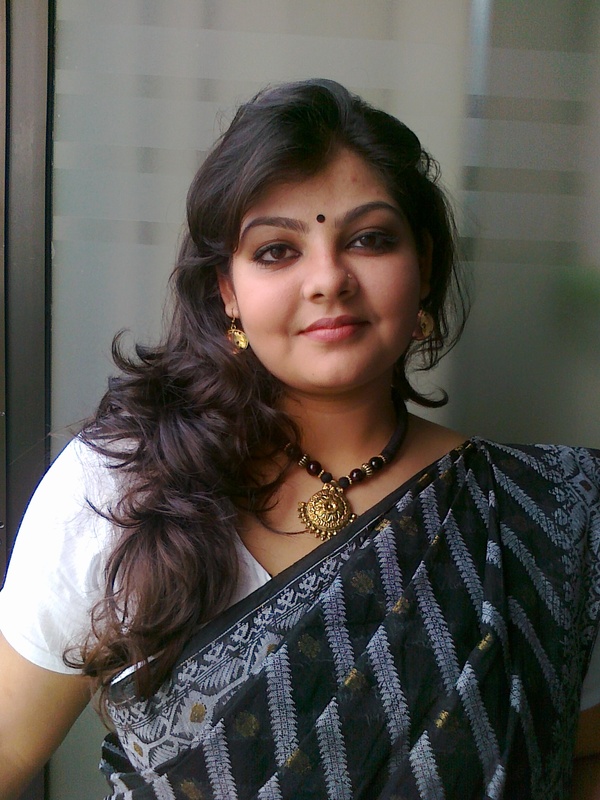 I was the Advisory Editor for the English section and Bikash Bhoumick was the Bangla section’s advisory editor. The ULABian is overseen by Professor Jude Genilo, Head of the Media Studies and Journalism Department at ULAB and Acting Vice-Chancellor Professor Imran Rahman. 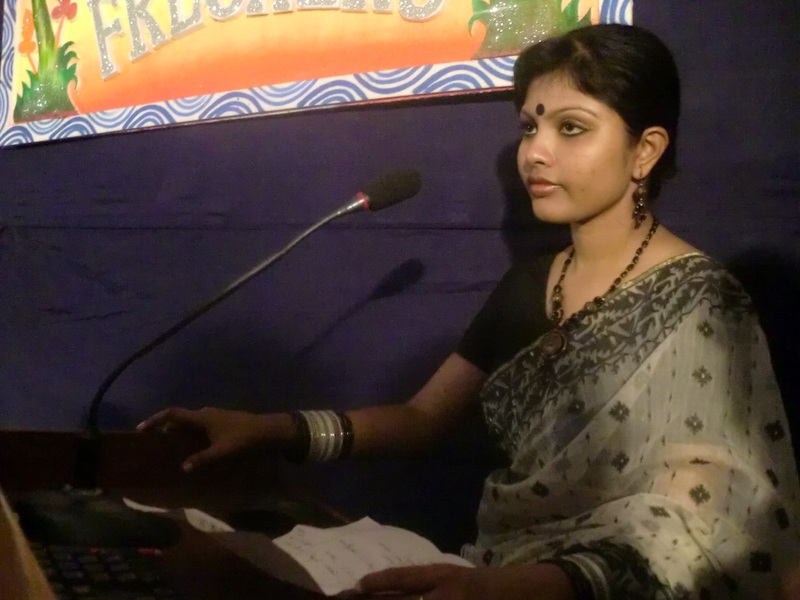 The article was written by Saddat Hossain, a student from the Department of Media Studies and Journalism at the University of Liberal Arts, Bangladesh and appeared in November. 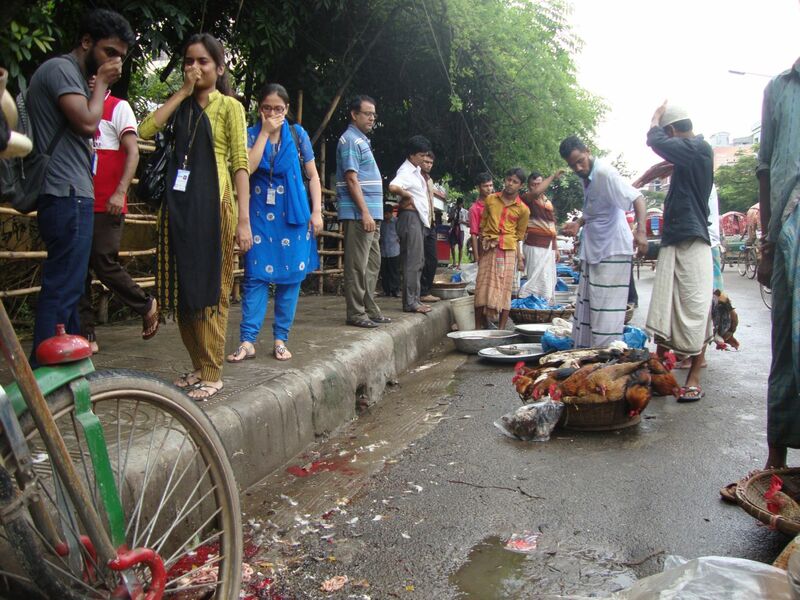 An unauthorised roadside fish market is causing problems for students and staff as they walk between the two campuses at the University of Liberal Arts Bangladesh. The market occupies around 20 metres of the footpath and roadside areas on Dhanmondi’s Road 7A from 7am until 10pm every day. Students travelling between the two campuses are subjected to foul, fishy odours, as well as numerous flies and mosquitoes that may carry infectious diseases. When the sky is clear and the sun is beating down the situation gets even worse, as the heat creates even fouler smells of rotting fish. The fish market’s customers are mostly local residents or random passersby. Students rarely, if ever, buy fish from the market. It is not only the fish that create such undesirable conditions: there are many ducks and chickens for sale too, and they are also slaughtered on the spot. This causes a huge mess of organic discharges from the slaughtered animals. Over the past few months, some students have suffered severe health problems and diseases, such as dengue fever. Open air fish markets may be contributing to a high rate of illness among students. Several other students said the troublesome fish market often makes them late for important classes, and even exams. However, it is not only the students who face this obstacle – ULAB’s faculty members do too. Several fish sellers said they are poor and rely on the market for their daily income – which is never a fixed amount. They buy the fish from Karwan Bazar and arrive early in the morning to sell the fish at a tiny profit. They remain at the market until they run out of stock. If the fish remain unsold, the sellers suffer a loss. At present, no legal action has been taken against the fish market by local authorities. However some students are planning to ask the authorities at ULAB to make an official complaint to the ward commissioner. 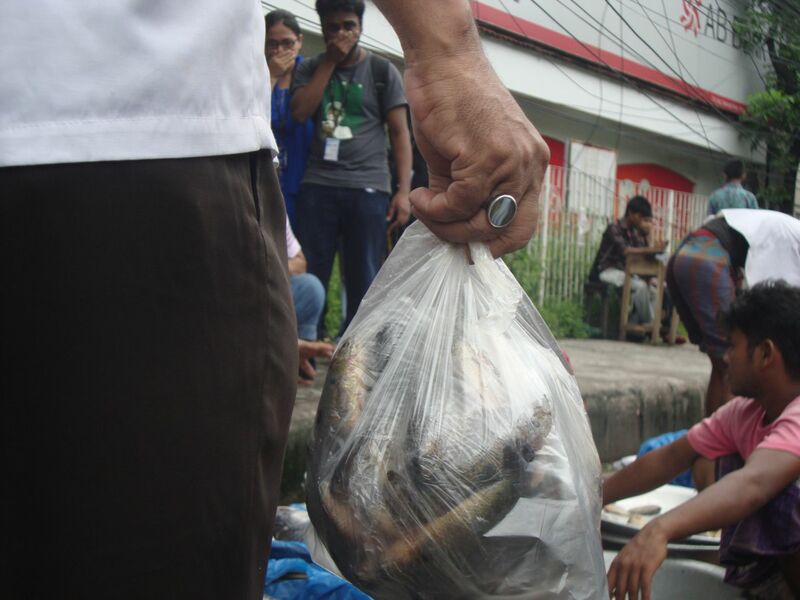 Who will the authorities give priority to – the poor fish sellers or the students?